At Sail Sand Point, racing is an incredible tool for improving sailing skills. It sharpens the learning curve, and provides a fun new challenge for both kids and adults. Sail Sand Point prides itself on offering to take people as far as they want to go in sailing. For some sailors it can be about making the boat go faster; about the skill it takes to read the wind and know what to do. For others it can be about having the fastest boat and the most medals. Whatever your reason for racing you will find both casual and competitive racing events at SSP. See you on the start line! Youth Racing Our youth clubs include Sand Point Youth Sailing Team (SPYS, ages 12-17), the Sand Point Opti Team (SPOT, ages 9-14), and High School Sailing Team (ages 13-18). They are open to all children and are a great way to become a better sailor in a team environment. 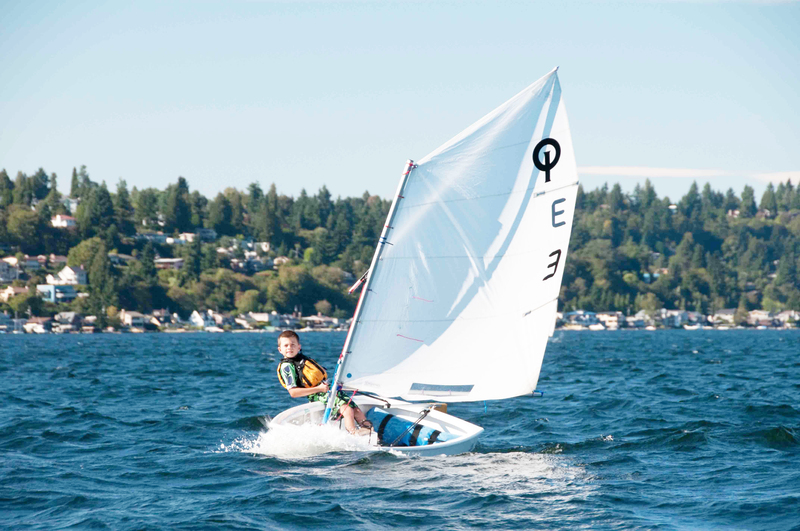 Clinics and Regattas Sail Sand Point hosts clinics, regattas, and other events throughout the year including the annual Stewart Opti Clinic and Octoberfest Youth Regatta. Our facilities are also used as a venue for high school and college racing. Monday Night Racing Sail Sand Point hosts FREE informal racing on Monday nights during the late spring and summer. Any type of sailboat can participate and no scores are recorded. Use your Open Boating pass to borrow a boat, or use your own! Racing is from 6PM to close. Stick around after racing for a $5 per person potluck and a beautiful sunset! Outrigger Canoe Club The Sail Sand Point Outrigger club (SSPO) stores their boats and practices out of the SSP Boat Yard. You can find more information on the SSPO website.